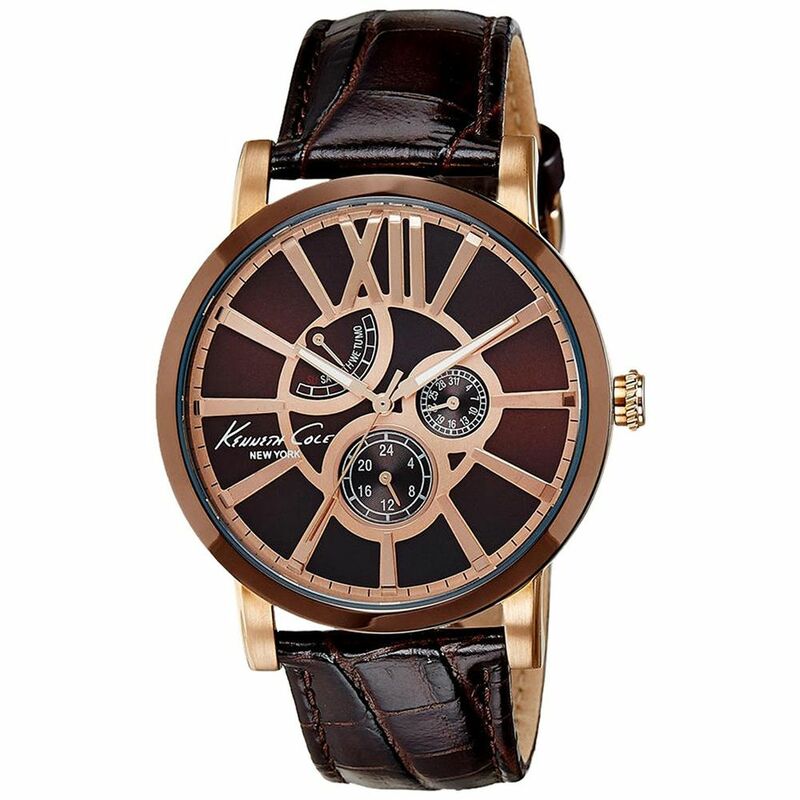 The Kenneth Cole Chronograph Men's Watch will make you stand out in any crowd. This watch combines elegance and a highly sophisticated sense of style effortlessly, and will no doubt be a very valuable addition to your collection of watches. Everything about the watch, including its unadorned brown band suggests a subtle masculine power. The band is neither too thick, nor too thin. It is made of excellent quality leather that is sure to last a long time. Moreover, you will never experience chafing or suffer bruises while wearing this watch. The dial is large and round, and has a very contemporary colour theme of pink and brown. The hands of the clock are slim and elegant and time can be told accurately with just a glance. Three smaller dials showing things like time on a 24 hour clock, and the day of the week are also featured on the large dial. Numbering is large and bold, and is sure to catch people’s attention. The watch comes with an international warranty period of 2 years, and runs on quartz type movement. Go for this product if you want to make a great impression!